For several months now, we've had an update for the dining room on our agenda. This room was originally painted within months of moving in almost 10 years ago! It definitely served us well, but the paint was fading and the curtains were nearly faded through. First we had to recover from the Christmas updates to the kids' rooms. 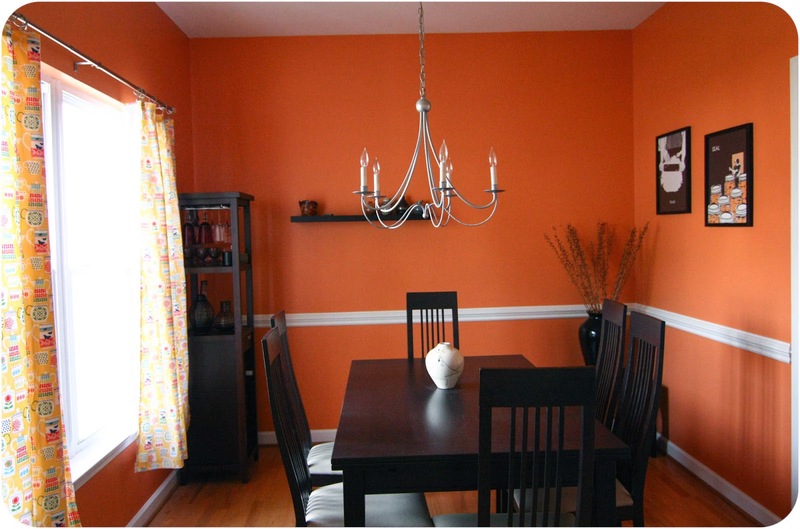 Then, we had to wait on the painting until I had the new curtains finished for this room. 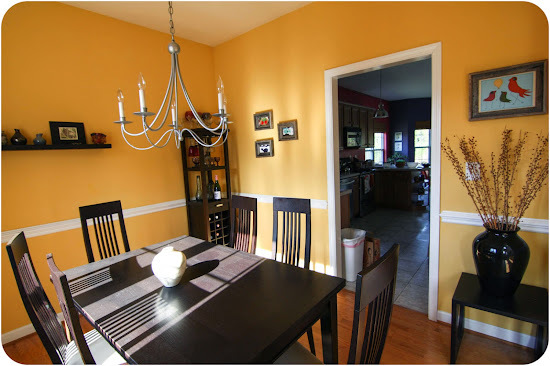 Our dining room faces the street and gets all of the morning sun. Living without a curtain in these windows is not a possibility! Finally, the stars aligned, the hardware and paint were purchased, and the curtains were sewn. 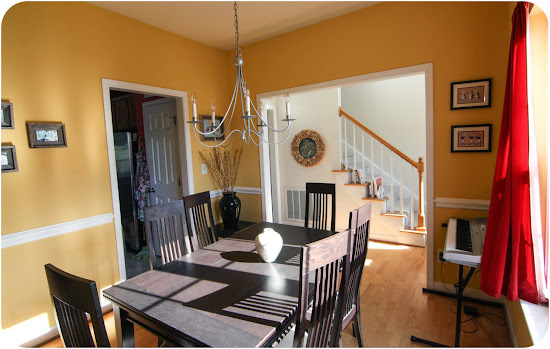 For about $80 in cloth, hardware, and paint, we gained an updated look in the dining room. In addition to the new curtains, we relocated the keyboard and the stemware that cluttered the top of the wine cabinet. 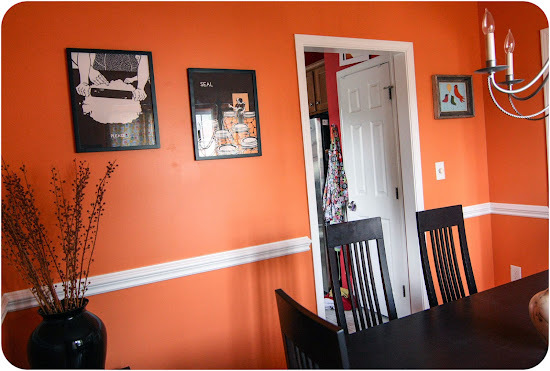 We also moved the Nikki McClure prints to this room from their old home, which is getting an update soon. 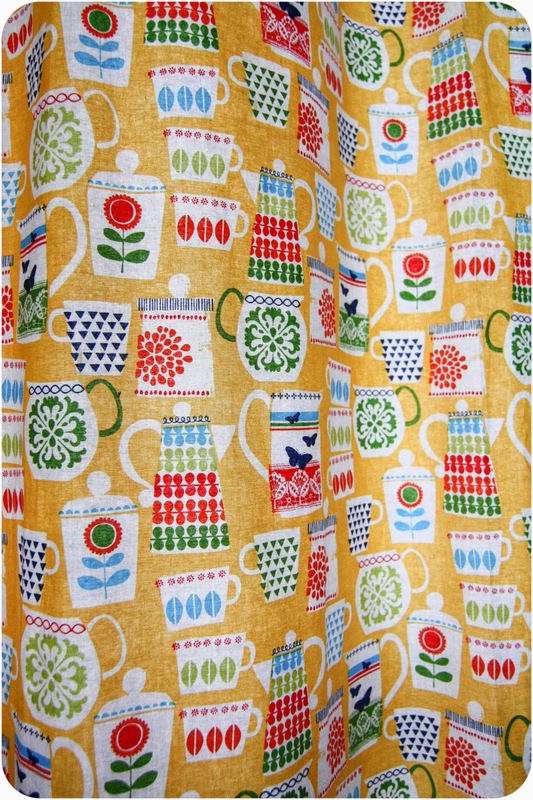 I'm happy that this Pyrex print matches the new curtains so nicely. It needs a larger frame and matting to really fill this space though. 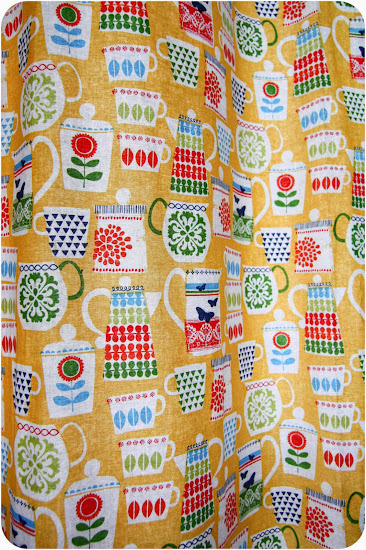 The curtain fabric is from Michael Miller's Put a Lid on It line. 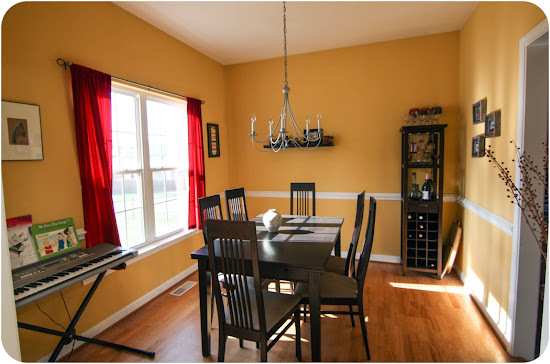 I fell in love with it nearly a year ago, and the dining room update was really planned around this fabric. The orange walls make the photographs look a bit darker, but the room is just as light as it was before and even lighter when the curtains are drawn. The heavy red drapes we had before really blocked out the light in this space. I'm definitely happy with the updates we made here. I love the new color! I would love to paint but we cannot agree.....yet. Looks great. The new curtains make it all gorgeous. The Pyrex print is really cool too. Ooooooo I LURVE it! 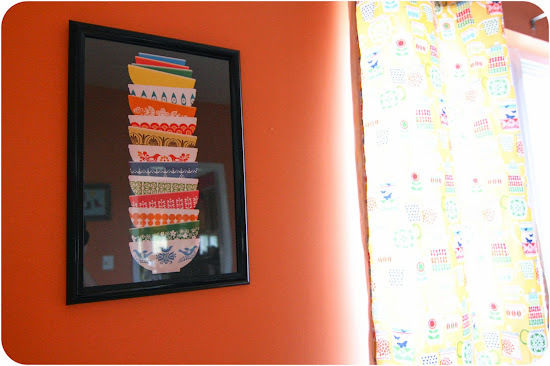 The color, the fabric, and of course the Nikki McClure prints. All so good!